Gadmie TV3860E external TV tuner card has 1440 x 900 high resolution picture quality, support with LED / LCD and CRT monitor, remote control, built in speaker. GADMEI TV Card Price In Bangladesh 2019. 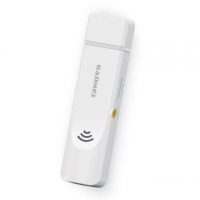 Gadmie 3860E Stereo Sound HD Picture External TV Tuner Card Price In Bangladesh 2019. Gadmie 3860E Stereo Sound HD Picture External TV Tuner Card TV Card Price In Bangladesh 2019 .